Jennifer A. Cassidy is a Lecturer in International Relations at the University of Oxford (St Peter’s College). Her PhD from the University of Oxford focused on the changing nature of diplomacy in the information age, examining the digitisation of diplomatic communication during times of political crisis. In 2017, Jennifer produced the first edited volume on Gender and Diplomacy: Theory and Practice (Routledge). By bringing together established scholars and seasoned practitioners of diplomacy, the volume provides a detailed discussion of the role of women in diplomacy and crafts for its readers a global narrative of understanding relating to their current and historical role within it. Based on her work for the book, in 2016, at TEDxOxford she gave the talk: The Road Less Travelled: Why we need a Feminist Foreign Policy. In her work on Gender and Diplomacy, Jennifer endeavours to move the conversation beyond the simple perception of women entering the diplomatic corps as a ‘novel’ or ‘unique’ act. She rather aims at beginning a necessary discussion regarding the type of role women play, or are provided with, once they enter the diplomatic sphere. Outside out of the realm of academia, Jennifer has served as a Political Attaché to Ireland’s Permanent Mission to the United Nations (New York), Human Rights Attaché to the European External Action Service to the Kingdom of Cambodia, and Ireland’s Department of Foreign Affairs and Trade Headquarters during its 2012 Chairmanship of the OSCE and 2013 Presidency of the Council of the European Union. She is currently a founding and active member of Oxford’s Digital Diplomacy Research Group, who amongst other ventures, also established the ‘London Ambassadors Forum’. The forum provides a series of lectures to Ambassadors resident in London on technology and diplomacy, designed primarily to bridge the growing gap between academia and practitioners. 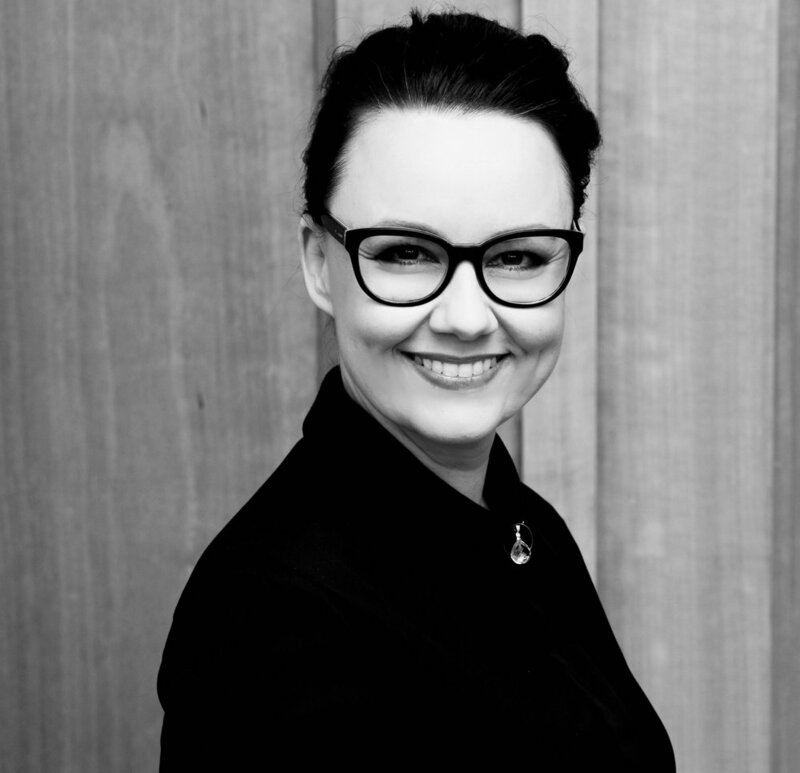 Jennifer also contributes to both the BBC and The Irish Times, on issues of digital diplomacy, data protection and the role of gender in the political and diplomatic sphere. Lawyer in Berlin, Co-Founder FidAR e.V. | Member of the Board of DGAP e.V. Jutta Freifrau von Falkenhausen practices law in Berlin. Having completed her law studies in Bonn, Geneva and at Free University Berlin, she obtained a Master of Public Administration from Harvard’s Kennedy School of Government. In 1993, Jutta obtained her second law degree and was admitted to practice law in Berlin. Having worked at a large international law firm advising major business clients in the areas of German and international corporate and commercial law and transactions for 15 years, she started her own firm in 2009. Today, the focus of her practice is to advise non-profit organizations on corporate, governance and commercial legal issues and to advise private individuals and institutions with regard to the establishment of foundations and other vehicles for non-profit activities. Another area of her practice is art law, where she advises clients in civil law and restitution matters. Throughout her career, Jutta von Falkenhausen has been interested in the promotion of equal rights and female empowerment. A long-term member of the German and European Associations of Women Lawyers, in 2006 she co-founded FidAR e.V. (Frauen in die Aufsichtsräte), which has become the principal German NGO working for the promotion of more women in corporate boards. Furthermore, her interest in international affairs lead to her being elected to the Executive Board of the German Council on Foreign Relations (DGAP e.V.). In addition, Jutta is a board member or trustee in a number of charitable organizations focusing on international cooperation, education, music and art. She is a regular speaker, both in Germany and abroad, about art law and restitution as well as diversity, leadership and female empowerment. Rose McGowan is an author, director, music artist, millennial icon, entrepreneur, and a major agent of cultural change, ushering in the global #MeToo movement. As a former actress she starred in films such as The Doom Generation, Scream, Jawbreaker and Planet Terror, and the hit television series Charmed. Her directorial debut Dawn was nominated for the Grand Jury Prize at the Sundance Film Festival. Her memoir/manifesto, BRAVE, is a New York Times bestseller. Her album, Planet 9, is being readied for release. Founder of the #RoseArmy, she’s emerged as a powerful voice for the voiceless and an activist who simply wants us to break free from traditional gender roles and become the brave humans we are meant to be. Chandra Talpade Mohanty is Distinguished Professor of Women’s and Gender Studies and Dean’s Professor of the Humanities at Syracuse University. 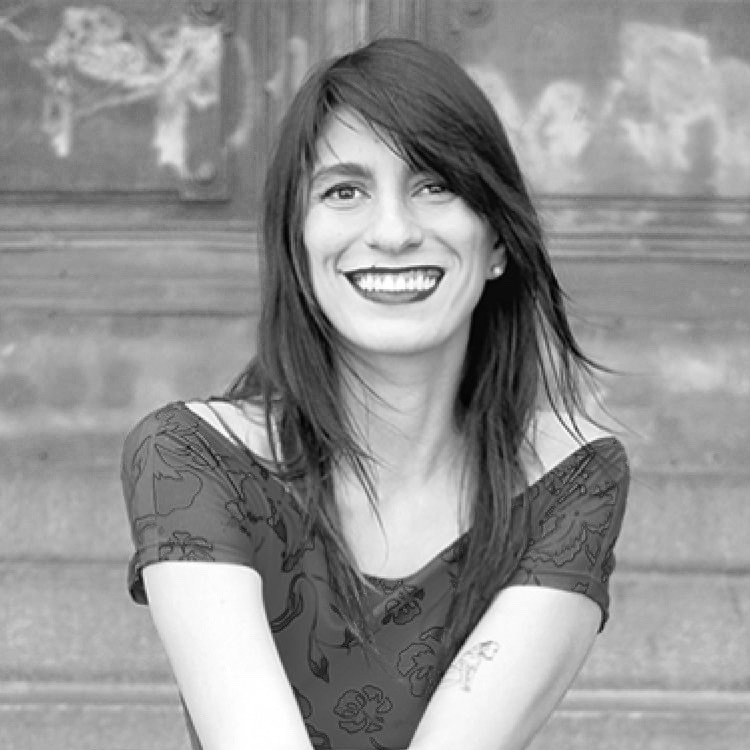 Her work focuses on transnational feminist theory, anti-capitalist feminist praxis, anti-racist education, and the politics of knowledge. She is author of Feminism Without Borders: Decolonizing Theory, Practicing Solidarity (Duke University Press, 2003), and co-editor of Third World Women and the Politics of Feminism (Indiana University Press, 1991), Feminist Genealogies, Colonial Legacies, Democratic Futures (Routledge, 1997), Feminism and War: Confronting U.S. Imperialism, (Zed Press, 2008), The Sage Handbook on Identities (Sage Publications, 2010), and Feminist Freedom Warriors (Haymarket Books, 2018). Her writing has been translated into Arabic, German, Dutch, French, Italian, Spanish, Farsi, Chinese, Russian, Swedish, Thai, Korean, Turkish, Slovenian, Hindi, Czech, Slovakian, Armenian, and Japanese. Mohanty is series editor of “Comparative Feminist Studies” for Palgrave/Springer. She is a member of the advisory boards of Signs, A Journal Of Women in Culture and Society, Transformations, The Journal of Inclusive Pedagogy and Scholarship, Feminist Africa (South Africa), Asian Women (Korea), Feminist Economics, The Caribbean Review of Gender Studies, Gender and Politics, and Journal of Cultural Anthropology. She has taught at universities in Europe, Asia, Africa and Latin America, including serving as the Angela Davis Guest Professor at Goethe University, Frankfurt in 2015. Ms. Mohanty is a steering committee member of the Municipal Services Project (municipalservicesproject.org), a transnational research and advocacy group focused on alternatives to privatization in the Global South, a founding member of the Democratizing Knowledge Collective (democratizingknowledge.org) at Syracuse University, and Coordinating Team member of the Future of Minority Studies Research Project (fmsproject.cornell.edu). 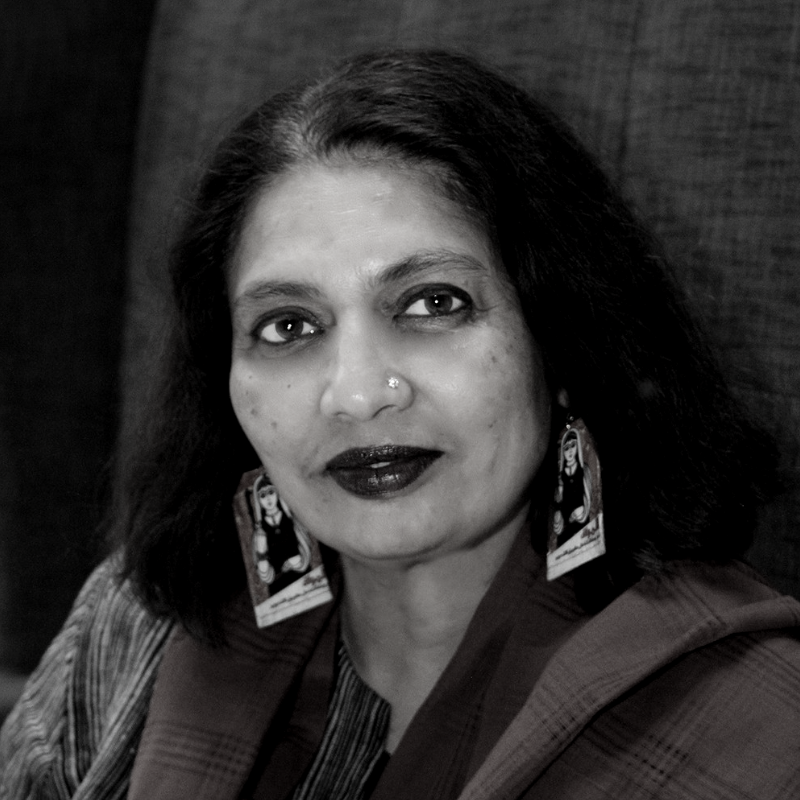 Mohanty was a member of the Indigenous and Feminist of Color Solidarity delegation to Palestine in 2011, and has served as a consultant/evaluator for the Association of American Colleges & Universities, the Ford Foundation, and UN Women. Michelle Müntefering, born in 1980, has been Minister of State at the Federal Foreign Office since 14 March 2018. She is a member of the German Bundestag since 2013, directly elected in her constituency Herne/Bochum II. After her studies of journalism with a focus on economics (B.A.) she worked as a freelance journalist and as a political advisor at the German Bundestag. During the 18th legislative period Ms. Müntefering was member of the Committee on Foreign Affairs and rapporteur for Turkey and the Middle East in the Committee. She was the SPD parliamentary group’s spokesperson for Cultural and Education Policy Abroad and chairwoman of the German-Turkish Parliamentary Friendship Group of the German Bundestag. Inter alia Ms. Müntefering is member of the Board of Trustees of the German Federal Cultural Foundation, member of the Supervisory Board of the Humboldt Forum Kultur GmbH, and member of the Broadcasting Board of the Deutsche Welle. Follow her on Twitter: @Mi_Muentefering and Instagram: @michellemuentefering. Sanam Naraghi-Anderlini is the Co-Founder and Executive Director of the International Civil Society Action Network (ICAN), spearheading the Women’s Alliance for Security Leadership (WASL) with member organizations active in preventing violent extremism by promoting peace, rights and pluralism in over 30 countries. She is an adjunct professor at Georgetown University. In 2011, she was the first Senior Expert on Gender and Inclusion on the UN’s Mediation Standby Team. For over two decades she has been a leading international advocate, researcher, trainer and writer on conflict prevention and peacebuilding. In 2000, she was among the civil society drafters of UN Security Council Resolution 1325 on women, peace and security. 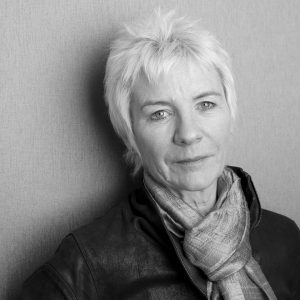 Madeleine Rees was educated at the University of Wales, has a BA honours degree in History and Post Graduate qualification in Education before re-qualifying as a lawyer in 1989. As a lawyer she worked for the Women’s Legal Defence Fund specialising in discrimination law, particularly in the field of employment. She worked for both the Commission for Racial Equality and the Equal Opportunities Commission on developing strategies to establish rights under domestic law through the identification of test cases. She successfully brought labour discrimination cases both to the European Court of Human Rights and the European Court in Luxembourg and was cited as one of the leading lawyers in the field of discrimination in the Chambers directory of British lawyers. During and immediately after the conflict in the former Yugoslavia, she helped to set up a Lawyers’ NGO to assist the work of the International Criminal Tribunal for former Yugoslavia (ICTY) through submitting amicus briefs and working with women’s NGOs in Bosnia and Herzegovina (BiH). She worked in BiH from 1997 at the Office of the Ombudsperson.In 1998, she commenced working for the United Nations Office of the High Commissioner for Human Rights (UNOHCHR) as the gender expert and then as the Head of Office in BiH. She was member of the expert coordination group of the Anti-Trafficking Task Force of the Stability Pact for South Eastern Europe. She took strong public positions against the United Nations’ complicity in trafficking of women and children and was outspoken against the collusion of the international community, including the United Nations, in rendition of Algerians from BiH to Guantanamo. The UNOHCHR in BiH played a crucial role in the first successful rendition case against a government using international law in the Bosnian Human Rights Chamber. From 2006 to April 2010, she was the head of the Women`s Rights and Gender Unit in UNOHCHR Geneva. Madeleine Rees became the General Secretary of the Women’s International League for Peace and Freedom in May 2010 and has been re energizing that organization in its work on addressing root cause of conflict, challenging militarism and patriarchal structures of power. WILPF is now one of the major organisations engaging in conflict zones, engaging with grassroots groups, conducting conflict analysis and bringing advocates into the multi lateral system. She is a national of the United Kingdom and was awarded the O.B.E in 2014 for her work on Human Rights, particularly women’s rights, International Peace and Security.